Interactive Optical Illusions - 15 Lentil Coins. "Lentil Coins" is a free online psychology game to explore another cognitive optical illusions by excluding objects from the environment pattern. 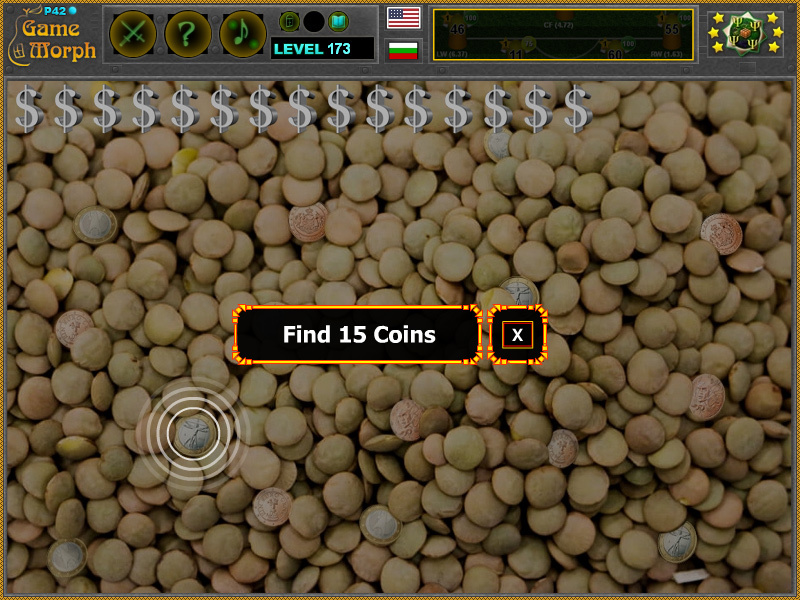 Find 15 hidden coins among the lentils beans. Fun educational psychology game, suitable for online lessons and interactive classes. 50 copper Euro Cents back. 50 copper Euro Cents front. How to play Lentil Coins Game. Look at the lentil beans from close and from a far. Then position the mouse pointer where you think you see a coin. Click the coin you find to collect it. Collect 12 coins to win. A help button showing where the coins are will appear in exactyl 4 minutes and 20 seconds. 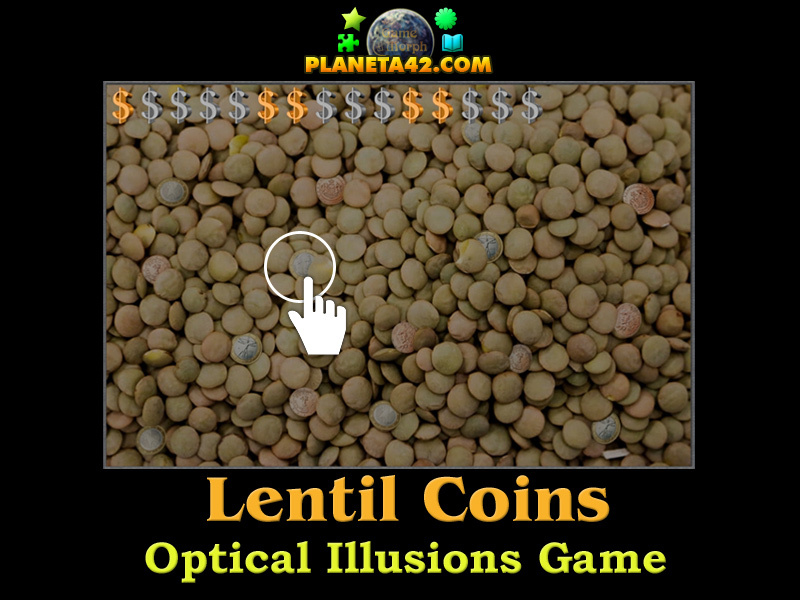 Know the lentil bean coins illusions and get +1 Knowledge Level. Class subject: Lentil Coins Identification. Like most optical illusions, your brain must be tuned to find the foreign elements by practicing. If you look at similar images for the first time, it may be a little hard to identify the coins. Practicing to identify the coin will train the brain. In time, the ability to identify coins will diminish but not vanish. Labels: Psychology Games , Optical Illusions , Mind Games , Knowledge Games , Hidden Coins , Free Online Games.